Honoring scientists who have made important and lasting contributions to the behavioral and brain sciences. 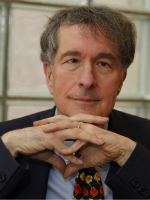 Howard Gardner is the John H. and Elisabeth A. Hobbs Professor of Cognition and Education at the Harvard Graduate School of Education and Senior Director of Harvard Project Zero. He has been associated with Harvard for his entire adult life. At Harvard College he studied Social Relations (an integrated social science curriculum) with psychoanalyst Erik Erikson and sociologist Charles Tilly; in graduate school, he worked with psychologists Roger Brown and Jerome Bruner, and philosopher Nelson Goodman; he went on to carry out postdoctoral studies at the Harvard Medical School and the Boston Veterans Administration Medical Center with neurologist Norman Geschwind. For 45 years he has worked at Harvard Project Zero, a research group that studies learning, particularly in the arts, and works with educational institutions, particularly schools and museums. From 1972-2000 he was Harvard Project Zero’s co-director (with David Perkins), and he continues to carry out research under its aegis. Since 1986, he has taught at the Harvard Graduate School of Education, where he co-founded the Arts in Education program and the Mind, Brain and Education program. Gardner has conducted research and written books in several psychological and social scientific disciplines. His initial research, in developmental psychology and neuropsychology, traced the development and breakdown (under conditions of brain damage) of human symbol-using capacities. His 1983 book, Frames of Mind: The Theory of Multiple Intelligences, challenged the traditional view of intelligence and catalyzed Gardner’s involvement over the next few decades in educational theory and school reform. He has conducted and synthesized research and written widely about the arts, creativity, leadership, and the challenges involved in changing one’s own mind and others’ minds. Since 1995, with Mihaly Csikszentmihalyi and William Damon, he has co-directed the GoodWork Project, an effort to understand how individuals can carry out work that is excellent, engaging and ethical, and how to foster more good work. He continues several related lines of work (Good Play, Good Collaboration, Good Participation) with collaborators Lynn Barendsen, Katie Davis, Wendy Fischman, and Carrie James. Gardner is a prolific author, having published 28 books, translated into 31 languages, and several hundred articles. His most recent book, a synthesis of his work in education and the social sciences, is Truth, Beauty, and Goodness Reframed: Educating for the Virtues in the 21st Century. Among numerous honors, Gardner received a MacArthur Prize Fellowship in 1981, the first year this Prize was awarded. In 1990, he was the first American to receive the University of Louisville’s Grawemeyer Award in Education, and in 2000 he received a Fellowship from the John S. Guggenheim Memorial Foundation. He has received honorary degrees from twenty-nine colleges and universities, including institutions in Bulgaria, Canada, Chile, Greece, Ireland, Israel, Italy, South Korea and Spain. In 2004 he was named an Honorary Professor at East China Normal University in Shanghai. In 2005, and again in 2008, he was selected by Foreign Policy and Prospect magazines as one of 100 most influential public intellectuals in the world. Most recently, Gardner received the 2011 Prince of Asturias Award for Social Sciences. He has been elected a member of the American Academy of Arts and Sciences, the American Philosophical Society, the National Academy of Education, and most recently (2007) the London-based Royal Society for the Encouragement of Arts, Manufactures, and Commerce. He serves on a number of boards, including Amherst College and New York’s Museum of Modern Art. * The FABBS Foundation would like to thank Dr. Robert J. Sternberg and Dr. Ellen Winner for nominating Dr. Gardner for this honor and for leading the effort to spread the word about his nomination. Would you like to honor Dr. Gardner? It isn’t too late to have your name added to the list of donors! You can make your donation to Dr. Gardner’s In Honor Of… campaign at anytime.